Stay current with the works of CASA volunteers throughout Ohio and across the nation. Learn what our sponsors and supporters are doing to expand the CASA mission. 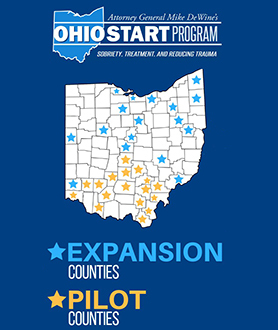 Families torn apart by drug use and addiction in 17 Ohio counties will be getting some additional help on their road to recovery with the expansion of the Ohio Sobriety, Treatment, and Reducing Trauma (START) Program. The 24th Annual Celebrate Kids! Conference closed Sept. 28 with Ohio CASA’s recognition of three individuals for their dedication to children throughout the state. How does CASA work? A foster youth shares her story. The CASA model works. A CASA volunteer shares a moving story about an “unadoptable” boy she helped find a safe, permanent home. Subscribe to our emails for monthly updates. 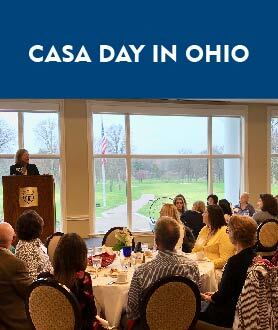 Get Ohio CASA news and resources delivered directly to your inbox. We respect your privacy and will never sell, rent or share your email address to third party providers.